Regina Electric Inc. provides a variety of services for commercial and residential customers in several areas of Saskatchewan. We provide quick turnaround times and fast, friendly service technicians who arrive on time to get the job you need done quickly. 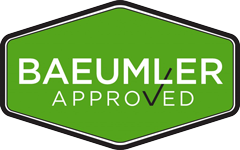 We are BBB Accredited with an A+ rating and Bauemler approved! Our commercial electrical services include the installation, repair, and maintenance of the products businesses and industrial buildings need, including offices, retail stores, hotels, restaurants, schools, manufacturing plants, and many other types of electrical systems. From installing completely new systems to making major and minor maintenance repairs, our experienced electricians are available to meet your needs at convenient service appointment times for your business operations. We provide parking lot lighting installation, generator stand by systems, surge protection components, landscape lighting, and meter panel upgrades. We also provide break or fuse replacements and building rewiring for renovations or reconstruction if needed. Our services also include touch panel relay systems, emergency temporary installations, and much more as needed. From a small business to a large corporation, we can accommodate any range of commercial electrical needs. Regina Electric Inc. also offers a wide variety of residential electrical services for homes in the area. We work with homes of any size and design from 800 square foot ranch homes to 5,000 square foot estates with multiple levels and anything in between. If you are building a new home, we can retrofit the wiring to accommodate a wide range of electronics and lighting, from ceiling fans to stereo systems. We also provide any electrical repair you need, from fixing a wire short to repairing lighting fixtures and upgrading your fuse box to meet the latest energy efficiency standards. If needed, we are also available to accommodate emergency repairs, including down powerlines, smoking wires, or backup generator problems. Whatever your electrical needs, our experienced team can meet or exceed them. We provide electrical repairs for homes and businesses in Regina and the nearby cities, including emergency repairs such as insufficient amperage and flickering lights. Our electrical repair services include lighting, appliance connections, electronics wiring, outlet repair and replacement, and fuse box repair and or replacement. We provide upfront estimates and use the highest quality equipment and supplies to meet your needs. We work with all home systems that require electrical components, including electric heating and cooling systems. 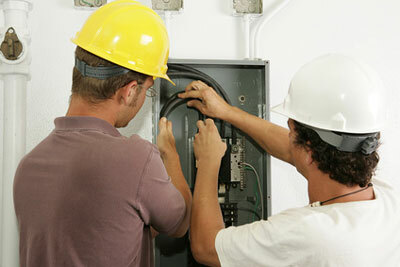 Electrical maintenance services from our team of electricians in Regina include updating your fuse box wiring to ensure it remains up to code, replacing outdated or frayed wiring, providing inspections for business electrical systems, switchgear and metering services, transformer upgrades, and circuit breaker upgrades. Our maintenance services include modifications of electrical components for business remodeling to meet the electrical demands for the new space. We can also provide maintenance for voice, data, and video systems, battery power systems, telecommunications devices, alarms and detection systems, and much more. We have an A+ rating with the better business bureau, and are Bauemler approved to provide maintenance and all other services as well.